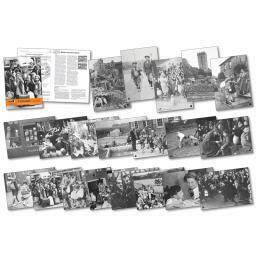 An imaginative approach to the study of evacuation of children during World War II, this pack includes a 60 page teacher's book and 20 A4 laminated photographs.Asking the question 'What was it like for children in the Second World War? ', the pack provides opportunities for pupils to role-play, empathise and imagine what the experience of evacuation was like. 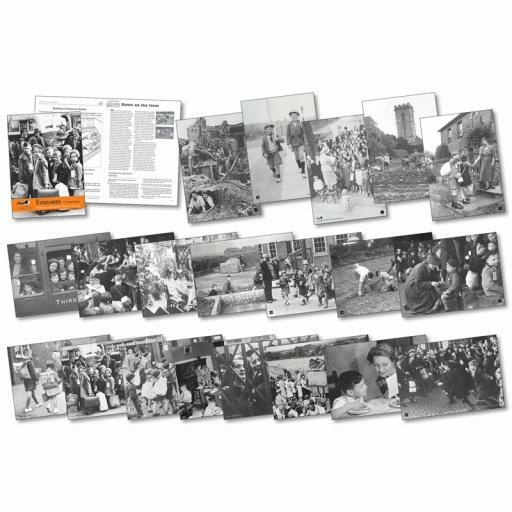 The teachers' book describes evacuation, sets the images in a historical context and includes speaking and listening, writing and drama activities.